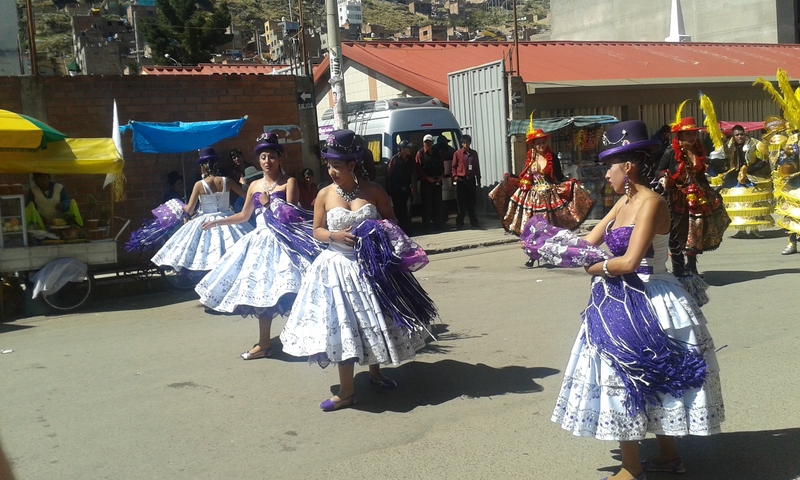 Leaving Cusco, we took the overnight bus to Puno which arrived at about 4 am. We killed a couple hours at the bus terminal and grabbed a cab to Bothy Hostel we saw online. They graciously allowed us an early check in and we got a little rest. 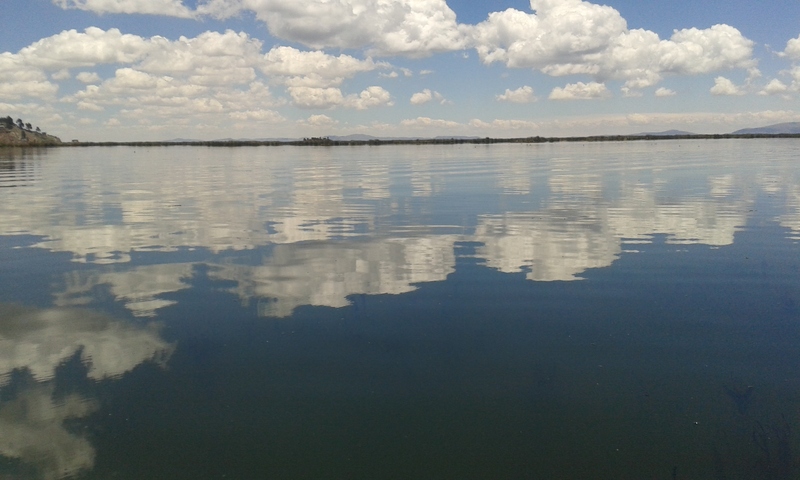 The next day was full of sunshine, and we made the ten minute walk to Lake Titicaca. 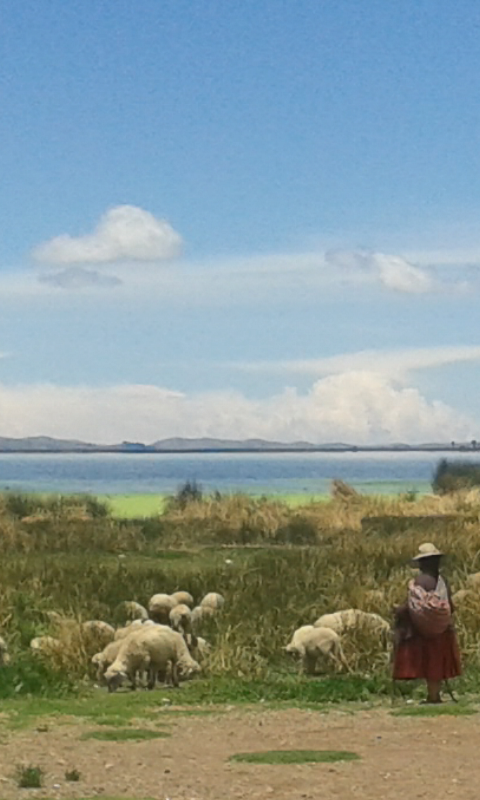 Puno doesn’t really have much in terms of attraction other than the lake. And really cheap food. 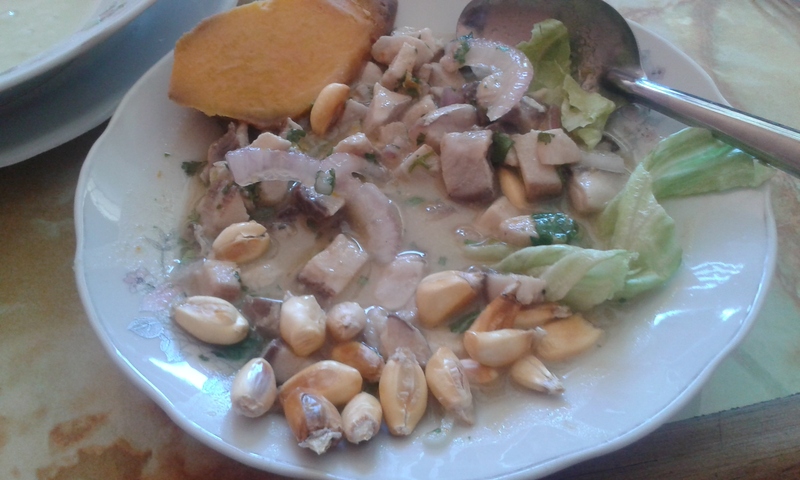 We enjoyed ceviche for lunch for about $1. The next day, we considered taking the tour to the floating islands but didn’t love the tour packages options. We instead opted for hiring a small private boat to just take us on a lake stroll. We ended the lake tour at a boat museum. 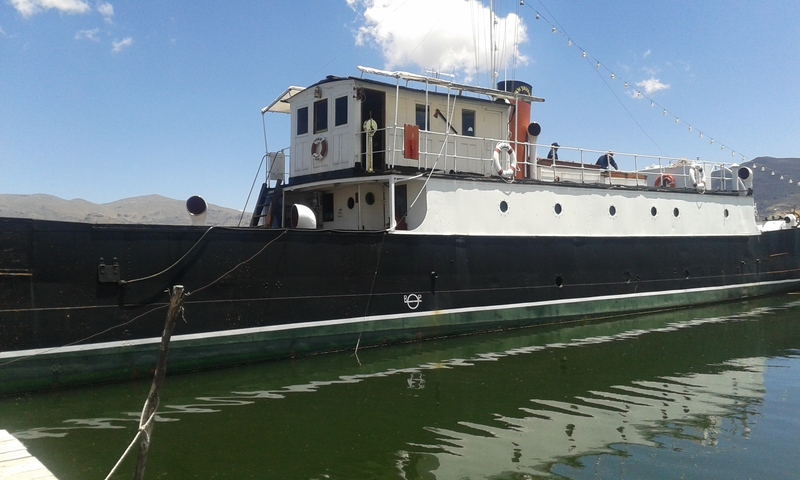 This large boat was brought in piece by piece shipped from London to Lima and hauled by donkey over the Andes to Lake Titicaca. Amazing. That afternoon we unintentionally landed in a parade! 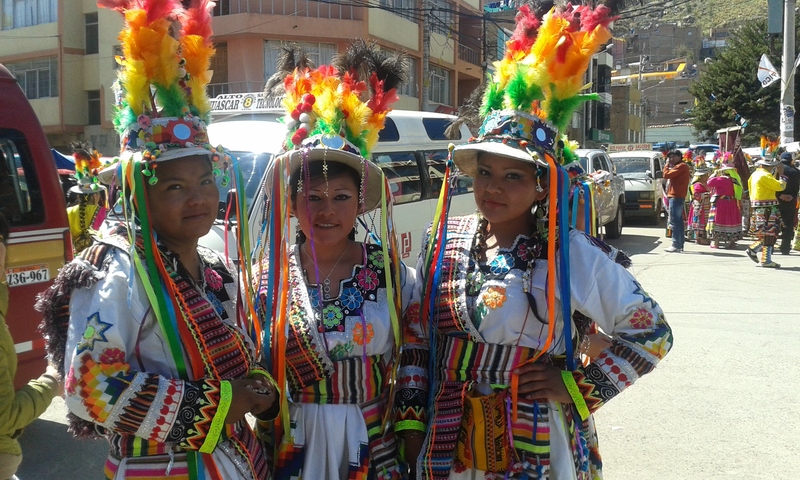 We were in awe of the intricate costumes. That evening, we took a night bus from Puno to Arequipa. We were happy to be back in warm weather! We took a cab to a hostel and checked in. We didn’t love it there (especially with a lack of kitchen), so we switched hostels the next day and inadvertently spent 2 weeks in the city. Easy to do in a cheap city surrounded by mountains and every day is 70° and sunny. On Halloween, we did the appropriate thing by visiting Juanita, a five hundred year old Inca mummy. 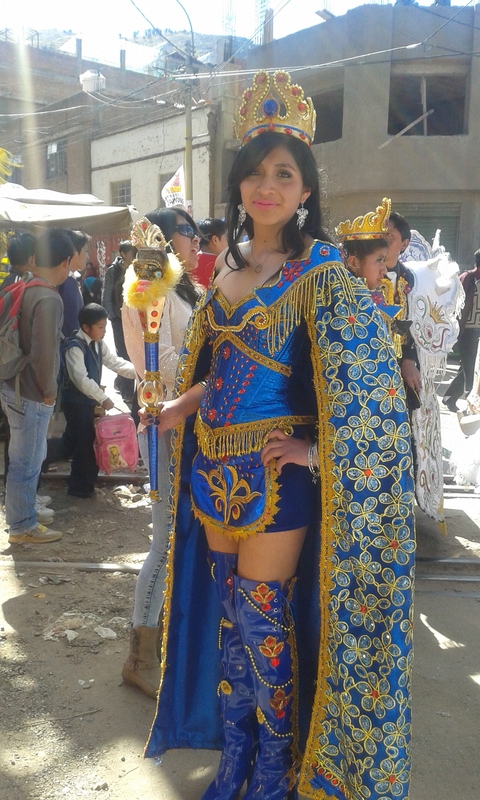 The ice princess was an Inca sacrifice slain in the Andes as an offer to the gods. We haven’t been doing… much… which has been pretty wonderful after a lot of traveling. This post brought to you by racism!